Iain Lee kicked off his show on Tuesday evening by telling listeners all about being attacked by an owl earlier that day. He says he was taking some time out in an area he never knew was popular for gay men to meet up, when an owl attacked him from behind. He made it to hospital with the help of a stranger who drove him all the way there and used a towel to stop the blood from making a mess in his car. He later tweeted a photo of himself in a wheelchair all bandaged up saying his head had been glued back together. Sorry guys. Not sure I’ll be able to do the show tonight. This is the weirdest thing but…I’ve just been attacked viciously. By an owl. It sounds like a joke but it’s not. Just sitting in A&E with blood everywhere. Iain said he might not make it to air that night but appeared as usual after the 10pm news for his talkRADIO programme. He joked that he should have an owl representative on the show to apologise on behalf of the bird which attacked him. Not long ago he says he fell down a well and often makes up pretend situations for his listeners. 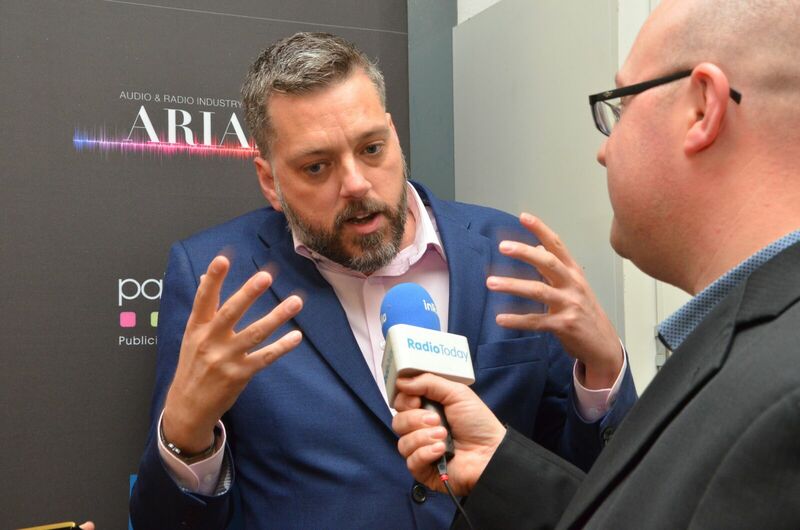 Here he is last year talking to RadioToday after winning Gold for Best Speech Presenter at the radio industry awards – the ARIAS.